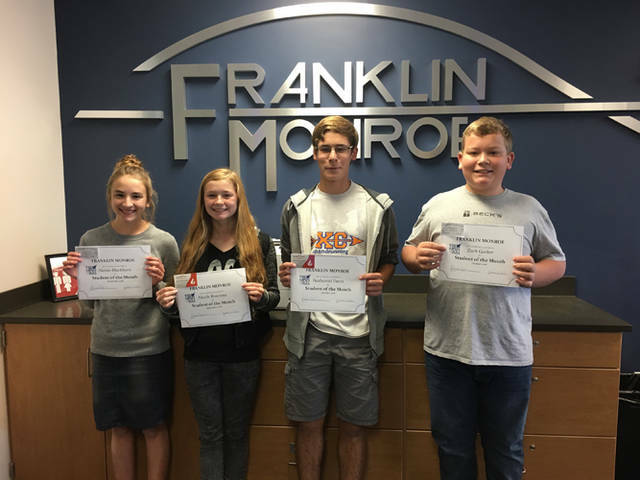 Alaina Blackburn and Nicole Brocious were named Franklin Monroe’s students of the month for September 2018, and Zach Garber and Nathaniel Davis were named FM’s students of the month for October 2018. The students were recognized for their outstanding contribution to Franklin Monroe Schools both in and out of the classroom. Vint’s Family Restaurant and Rapid Fired Pizza in Greenville provided coupons for the students.